The Lord is near! You're not alone. You may feel alone. 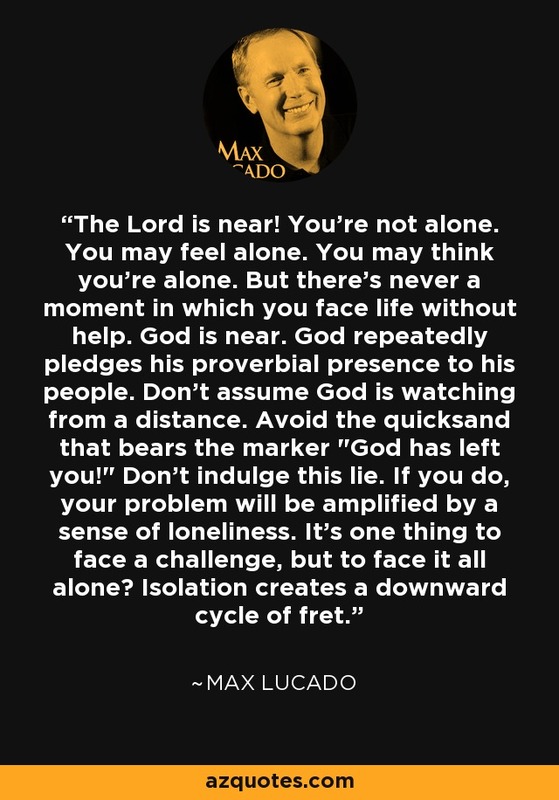 You may think you're alone. But there's never a moment in which you face life without help. God is near. God repeatedly pledges his proverbial presence to his people. Don't assume God is watching from a distance. Avoid the quicksand that bears the marker "God has left you!" Don't indulge this lie. If you do, your problem will be amplified by a sense of loneliness. It's one thing to face a challenge, but to face it all alone? Isolation creates a downward cycle of fret.